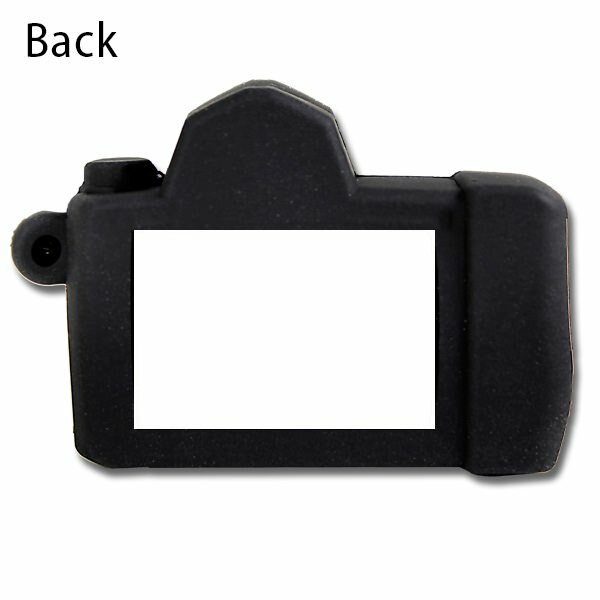 Snap your way into better advertising with this Photographer inspired promotional USB drive, charmingly shaped as a mini SLR camera. This is a special giveaway item meant to bring back customers. 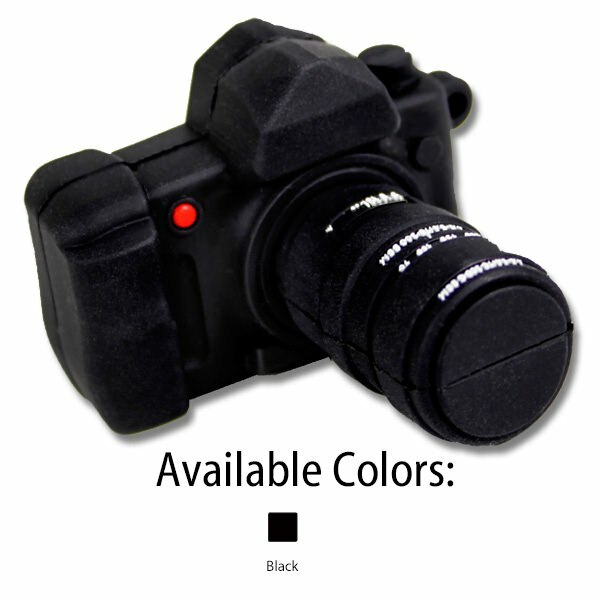 The camera lens houses the drive connector and your logo is beautifully situated on the camera’s view finder. Get noticed at your next trade show! 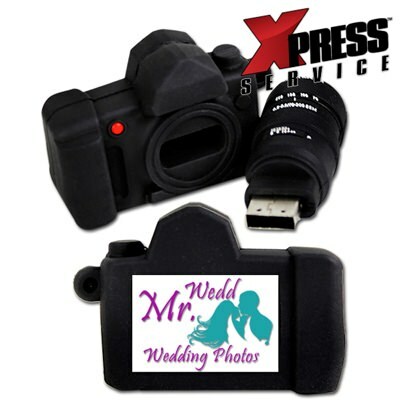 This Photographer memory drive excels in everything: capacity (up to 64GB), charm, novelty, durability (custom molded PVC), and print quality (4-color printing). 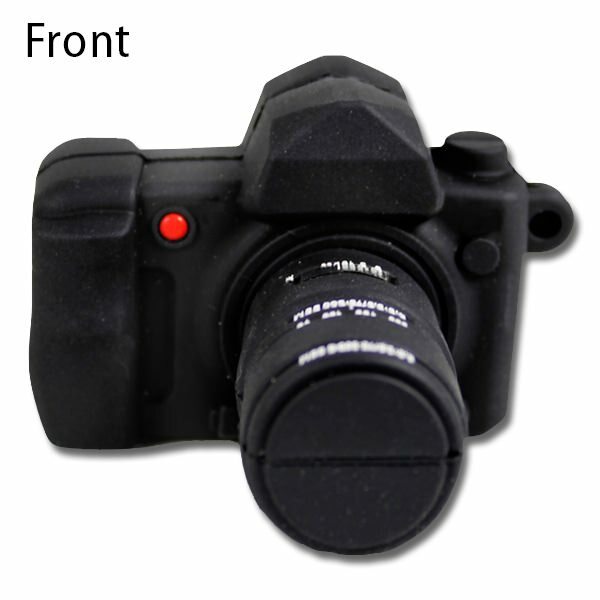 The connector plugs into the body of the camera, offering protection and novelty in the shape of a camera. It is compatible with most major operating systems, has data retention of up to 10 years, and a limited lifetime warranty. It’s the ideal combination of form and function. No one else is handing these awesome flash drives out, guaranteeing that your customers will remember your brand. Choose a flash drive that’s as unique as your company with this Photographer drive. Get ground shipping in the continental US.